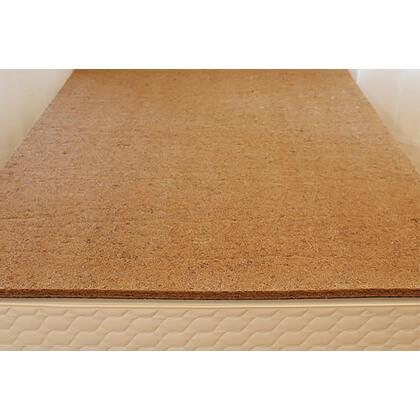 This Eco friendly bed rug is a one-inch flat mat made of coconut fiber (coir) impregnated with natural latex rubber. 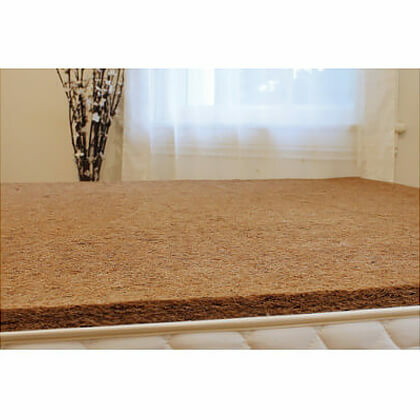 The semi flexible pad is extremely porous and allows air to circulate and flow freely between the bottom of a mattress and a platform bed’s surface. 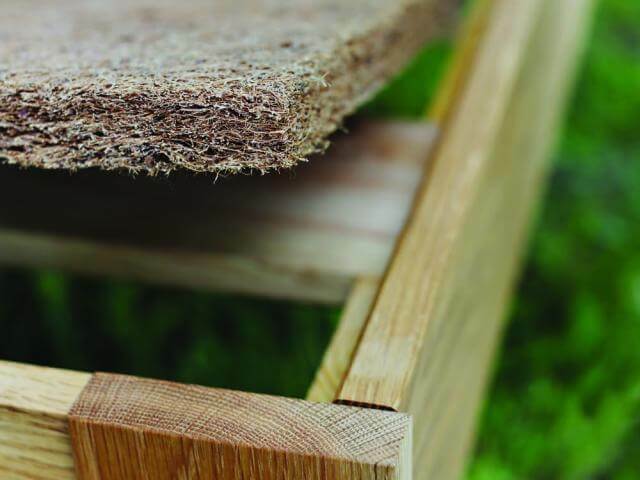 This unique support system also works as an excellent insulator on top of flat smooth surfaces like platform beds, pedestal beds, or captains bed that use materials like plywood or luan / lauan. It is also used for platform beds with wooden slats and slat packs that are spaced a little to wide causing sagging. This can help reduce and minimize sag between wood or metal slats that are spaced more than 2-3 inches apart. It is strongly recommended for breathability under any foam mattress on a solid-platform bed. Where inadequate air circulation is a concern, a bed rug may be advisable on a slatted platform. 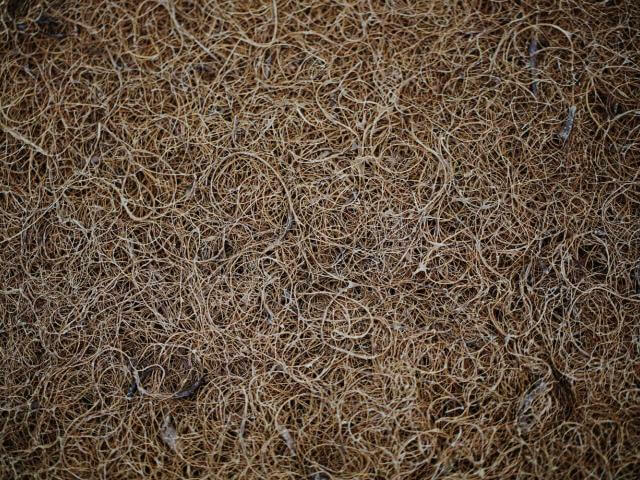 We recommend adding two bed rugs under any mattress placed on the floor–or in any environment where moisture or excess humidity are a concern–for better air circulation. Compressed and rolled to fit smaller box for shipping purposes.